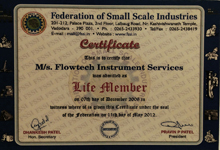 Armed with strong business ethics and a desire to fully satisfy our customers Flowtech Measuring Instruments Pvt. 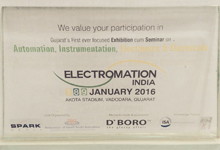 Ltd.,are actively involved in the market as a Manufacturer and Exporter of a wide range of Float& Board Level Gauge, By Pass Rotameter, Acrylic Body Rotameter,Water Flow Meter,Glass Manometer etc. The deep market insight and vast industrial experience of our CEO Mr. Nilesh Shah,our business unit has assisted us in scaling new heights in industry.Our advanced infrastructural facility is fitted with the latest production machinery, which enables us to offer our customers a wide range of products like Fuel Flow Meter, Sight Flow Indicator, Double Window, Mini Level Switch, etc, in excellent quality and superior finish. Our hardworking team consists of highly skilled mechanical engineers, administration personnel, management, etc who combine their knowledge and skills to achieve the production target in the best way possible. The satisfaction of our customers is our main concern, all our plans are aimed at achieving maximum satisfaction for all our customers. In an effort to maximize customer satisfaction, all the products are provided at nominal costs with easy payment options. Our specialized packaging department ensures that all the products are safely wrapped in quality packaging material in order to avoid damage during transit. 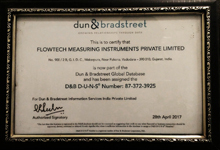 We are far-famed not solely as manufacturer alone but Service Provider of Engineering Services for Pipes, Flanges, Weldolets,etc, and undertakes Mechanical Engineering Job Work.